Sara grew up in the Berkshires in Western Massachusetts. After graduating high school and working in restaurants and country clubs since the age of 14, she attended the University of Massachusetts Amherst where she majored in Psychology. After graduation she moved to Boston to attend Emerson College and pursue a Master’s degree in Marketing Communications. Sara began her career in hospitality at the esteemed Breakers Hotel in operations as a Banquet Supervisor running Galas and Weddings and worked her way up into a Catering Sales Manager position. 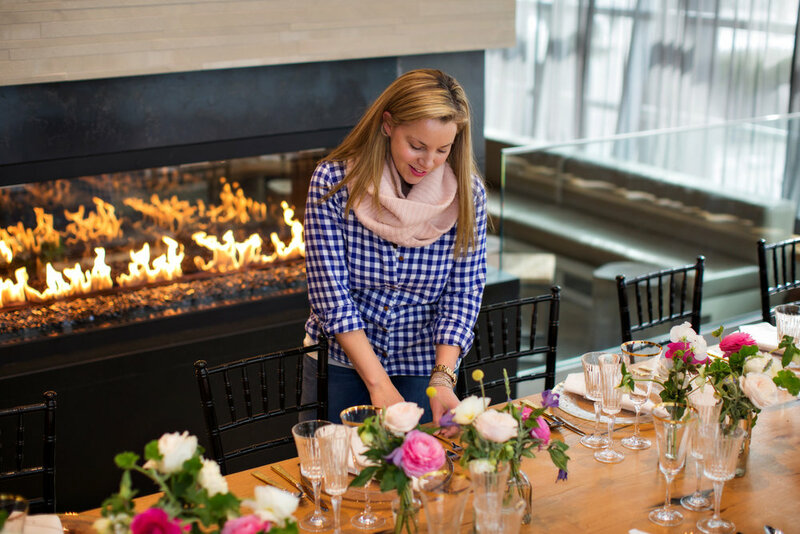 After being too far away from her family for too long, she moved back up North to be closer to home and spent time in New York working for Abigail Kirsch Catering. She eventually landed in Boston at the Five Star, Five Diamond Four Seasons Hotel as a Catering Sales Manager where she spent six years planning weddings and events (and also met her husband William). Sara has planned thousands of events; both corporate and social; over the past 15 years. Sara lives in Milton with William, their daughter Grace and identical twin sons Owen & Everett. Sara is a voracious bookworm, enjoys yoga and running, but is happiest when at the beach with her family.